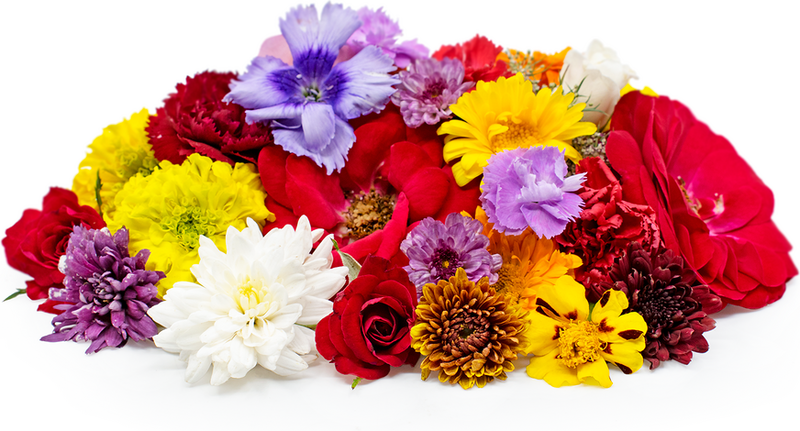 Premium assorted edible fresh flowers are available year-round. Assorted flowers are most commonly used for decorative purposes. Add to fruit and green salads. Serve alongside cheeses, crudities and main entrees as edible garnish. Use atop cakes, tarts, miniature pies, creme brule and other delicate pastries. Scatter atop tablescapes, serving platters and plates to add a colorful pop. Recipes that include Assorted Flowers. One is easiest, three is harder.